Actually, infertility trouble splits three ways: around 30 percent of the time, it’s due to an issue with the female reproductive system; another 30 percent of the time it’s the male’s; and the remaining percentage is some combination of both male and female or an undetermined cause. Struggles to grow a family impact both partners, though the impact is often expressed in different ways. Infertility can cause grief and pain to all those who love and support the people at the heart of the struggle, too. Young, healthy women under the age of 30 should have no problem getting pregnant, right? Infertility is just a problem for women who waited later in life to try to have children. Wrong. Infertility is caused by a wide variety of factors that may turn up in even young men and women. Serious illnesses like cancer can interfere with fertility, as can other conditions like endometriosis and Polycystic Ovarian Syndrome (PCOS). Environmental factors can play a role, too. Not all older women will have difficulty conceiving, and not all young couples will become pregnant easily. While stress can play a role in fertility – though science hasn’t pinned down exactly how – no amount of relaxing will overcome issues like endometriosis, PCOS or a low sperm count. Medical diagnosis and treatment is still an important first step to resolving infertility. In fact, in vitro fertilization is only utilized as a treatment option in about three to five percent of cases of infertility. As many as 90 percent of infertility cases are treated with drugs or surgery. A range of options for treating infertility exists, and doctors and patients choose options for a variety of reasons, including underlying conditions, time and resources. Treatment for infertility may include medications, hormone therapy, lifestyle changes, surgery and more. While IVF is an important and helpful tool, it is not the only option. Insurance plans vary widely from state to state and even from plan to plan. Group plans offered by employers may offer varying degrees of coverage. Check with your plan administrator for details about your coverage. If insurance does not cover treatment or falls short, a variety of options for financing treatment are available. Discounts and special programs are available, as well as grants and special loans. Our team can help you sort through options. Call (615) 721-6250 or visit our online appointment request form for a consultation. 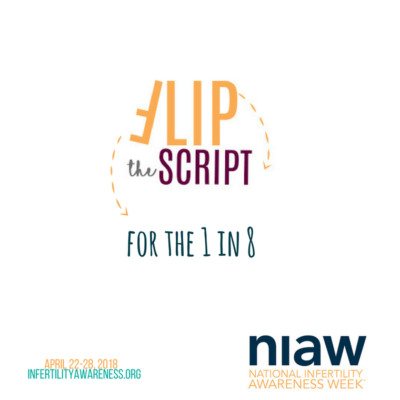 The truth is that one in eight married couples struggles with infertility, so chances are you or someone you know is in the midst of that struggle. It is important to know that support and resources are available.